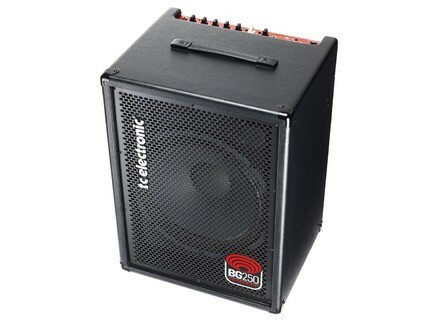 BG250-115, Bass Guitar Combo Amp from TC Electronic in the BG250 series. BG250 owners can add TC’s bass compressor, SpectraComp, and the new bass overdrive, BassDrive, to their arsenal of effects. 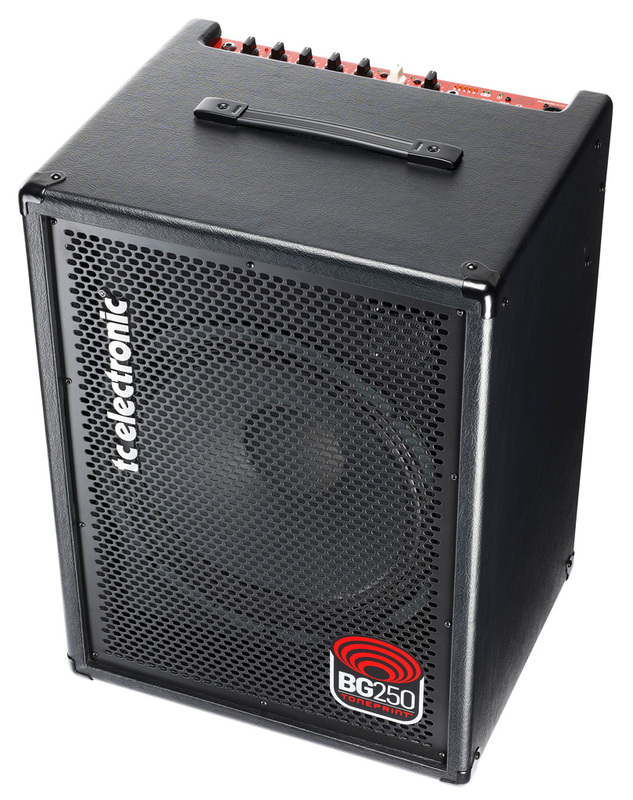 Until now, TC’s BG250 bass combo had offered Chorus, Flanger, Vibrato and Octaver effects. SpectraComp is a three-band compressor that applies compression to each individual string as it handles bass, mid and treble frequencies individually. Traditional one-band compressors tend to be controlled only by the lower strings, but with SpectraComp compression now becomes more musical, according to the company. SpectraComp has been ported from TC’s Blacksmith and RH750 amps and is an integrated part of the overall Bass Amp 2.0 concept introduced by TC in 2009. BassDrive, as the name implies, is an overdrive tailored specifically for bass. BG250 already features TubeDrive designed to add tube-like character emulating the tubes of an analog preamp, but also a tube power amp section. In order to use these new types of effects with previously sold BG250 bass combos, the owners must update the internal software of the amp. The software update is available as a free download on TC’s website and the update process is as simple as connecting the combo via USB to the computer. Check out tcelectronic.com/bg250-software for more details. New Ibanez 4, 5-String Fretless Basses Ibanez announces 4 and 5-String fretless versions of their SR370 and SR375 basses. How low can you go? Use an octave divider, and find out! Octave dividers aren’t just for guitar players: They also rock for bass, whether you’re getting mega-low sounds from the lower strings, or playing high up on the neck for very cool 8-string bass effects. It’s easy to do octave division with amp sims and DAWs, but there are some definite tricks involved. New Fender Pawn Shop Models Fender introduces four new models to its Pawn Shop series–the Offset Special, Jaguarillo, Mustang Special, and Reverse Jaguar Bass.